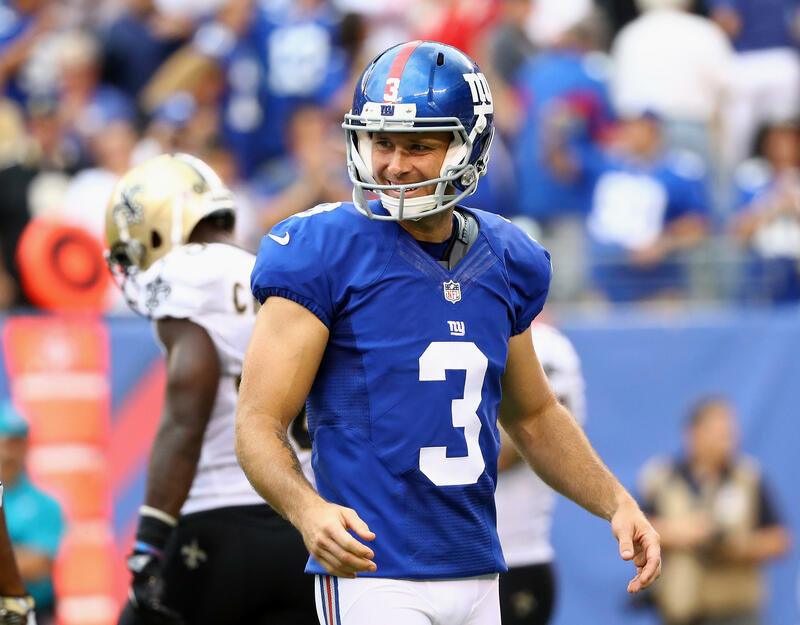 EAST RUTHERFORD, N.J. - The New York Giants released placekicker Josh Brown on Tuesday, shortly after he released a statement admitting he abused his ex-wife, but insisting he never struck her. The NFL, the Giants, and especially team president John Mara, have come under withering criticism for their handling of the Brown case, with many saying the lessons of the Ray Rice fiasco have not been taken to heart. The Giants and Mara appeared to attempt to address the controversy in the team’s official statement on releasing Brown. Brown himself issued a statement earlier Tuesday to ESPN. Brown was placed on the NFL commissioner’s exempt list last week after authorities released emails and personal journals in which Brown admits to abusing his former wife. Interestingly, in the Giants’ press release on Brown, they included part of Brown’s statement to ESPN, but not the part where he claimed that he never actually struck his wife. Brown’s former wife Molly Brown alleged that he shoved her into a mirror, breaking it, and that he shoved a chair into her leg, bruising it, according to a report released last week by the King County Sheriff’s Office in the state of Washington. He was previously suspended for the opening game of the season for violating the league’s personal conduct policy after the NFL investigated his arrest in May 2015 for spousal abuse. Brown was not charged by local authorities in the case in Washington state. Brown said he has spent the past several years working to identify and change his behaviors. The 37-year-old apologized to the Giants for having his past bring the integrity of the team into question. He said is cooperating with the Giants and the NFL in their investigation into his history of spousal abuse.